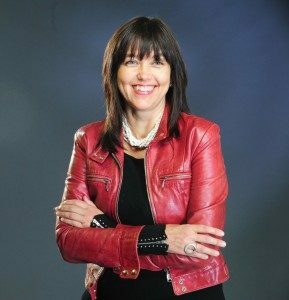 Early in her new book, Living the Life Unexpected: 12 Weeks to Your Plan B for a Meaningful and Fulfilling Future Without Children, Jody Day writes, “Having children is not a free pass to a happy life. If we look at the lives of mothers without envy and listen them without prejudice, we know this to be true. They suffer too and sometimes their children are the very source of that suffering.” It’s a refreshing point of view. Reading through Jody’s book, is like sitting down with that one friend you can always trust to speak frankly. What comes across in her words is an understanding that, yes, this hurts…a lot, and yes, all the feelings of anger, sadness, and hopelessness are real and normal, but you cannot allow this experience to take over your entire life for the rest of your life. And while Jody offers plenty of gentle support and practical exercises to work through the hard stuff, I walked away with an overall feeling of empowerment. Jody opens the book with a Plan B Healing Inventory, a list of questions about your current state of mind, such as “How often do you blame others for your situation?” and “How often do do you really laugh?” These questions help get a sense of where you are now, but are also a means to measure your progress. Often improvement is incremental and you don’t realize how far you’ve come until you hit a big milestone, such as being around children or making a big plan for your future. It’s very helpful to take this kind of inventory to remind yourself, especially on the tough days, how far you’ve come. 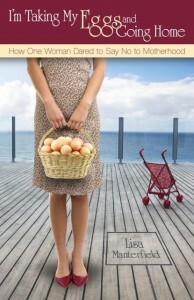 In this new and expanded edition of her earlier book (previously titled: Rocking the Life Unexpected) Jody includes case studies of eight women who’ve found themselves unexpectedly childless for a broad range of reasons. As we know from the stories shared on this site, hearing from someone who’s walked a similar path to you can be a powerful tool in the healing journey. Throughout this book, Jody is a beacon, showing you the way to move forward and build the life you want. Much of what she encourages is about changing your shifting your perspective from what’s lost to what is. She talks about “liberating yourself from the opinions of others” and letting go of some of the assumptions we’ve been fed about the wonders of motherhood. 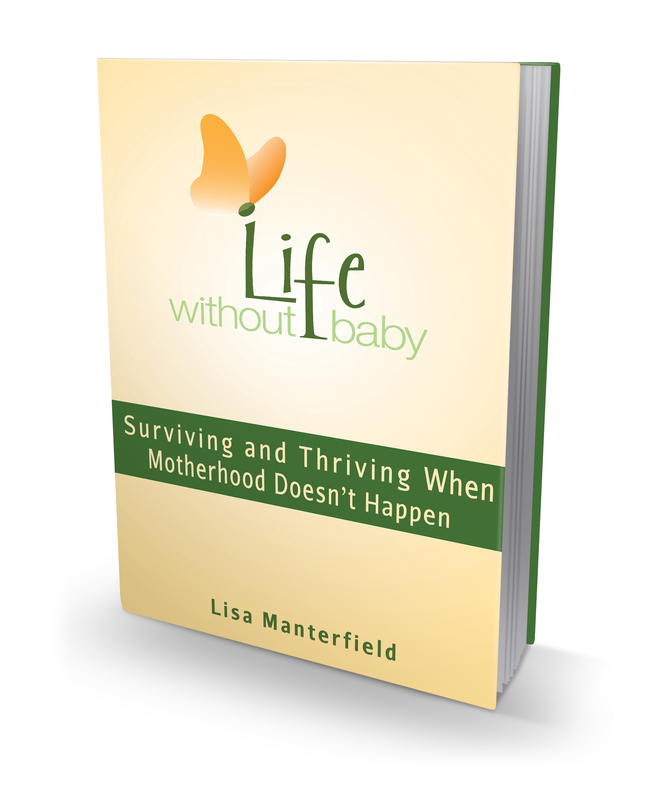 Life Without Baby: In this new edition of the book, you’ve added case studies. What have you learned about the power of both telling your story and of hearing the stories of others? Jody Day: When I started the Gateway Women blog in 2011, it was the beginning of me sharing my story with others. That first woman who wrote a comment saying “me too” was a moment that will stay with me forever. Knowing that I was not alone in struggling with my childlessness was extremely validating – finally! Over time, as I started to meet other childless women in person, I realised too that the ‘story’ society tells of us – that we are broken, damaged, pathetic weirdoes – began to seem more and more ridiculous! And with each ‘other’ woman I realised that about, I also let go of a bit more of my own subconscious beliefs that my childlessness meant I was defective in some way. I now understand why sharing our stories is one of the oldest form of healing and I wanted to find a way for readers of the new edition to have an experience of that. LWB: A real sense of resilience comes through in your writing. In several sections it’s clear you have an attitude of not rolling over and letting this take over your life. I’m guessing that attitude was hard-won. Can you talk about what changed for you? JD: Recovering from childlessness is the hardest thing I’ve ever done – and I hadn’t had an easy ride before that so I wasn’t new to coping with incredibly hard things – my resilience comes from coping with an unstable childhood, chronic illnesses, living with mental illness and addiction within my family, as well as losing my marriage to my husband’s addiction issues. Yet I’d been able to learn from all of these difficulties and pick myself up again. 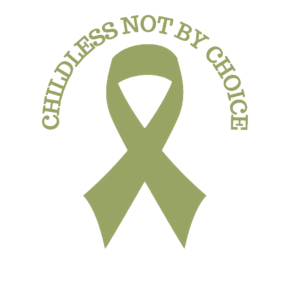 But childlessness? No. There was a period during the worst of it when I really didn’t know if I had the strength to carry on with the rest of my life feeling this awful. But I didn’t know it was grief. Once I found out it was, it was the missing piece of the puzzle as to why this loss, this trauma, was so much harder than the others. To this day, I still cannot believe how none of the therapeutic and medical professionals I consulted mentioned that I might be grieving… the grief of childlessness is still so little understood by those who haven’t experienced it. I feel so grateful that as part of my training to be a psychotherapist we looked at bereavement and I had that ‘aha’ moment that grief was what I was dealing with. LWB: Your discussion about a “shadow life” really struck a chord with me. Can you share what you mean and how you finally recognized that in yourself? JD: It was one of the very first things I realised, on the day that I accepted (cognitively!) that I would never be a mother, because I had an extraordinary experience of feeling in my body the two versions of myself – my real life and my shadow life – and feeling them merge. It was a powerful energetic experience. I guess my ‘shadow mother’ went ‘pouf’ in that moment and I realised that for the last 15 years I’d been spending a lot of my life in la-la land, psychologically ‘nesting’, long after it was wise or healthy or helpful… I guess it’s probably a very natural part of planning to start a family – thinking all of the aspects of your life through in terms of how to organise it best for the coming child – but because I carried on hoping/fantasizing long after it would have been logical to have given up, my shadow mother became a rather toxic fantasy that stopped me facing reality. Once she was gone, grief came roaring in, so it was definitely being fuelled by denial. 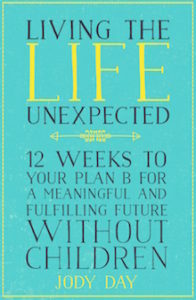 Information on where to purchase Living the Life Unexpected: 12 Weeks to Your Plan B for a Meaningful and Fulfilling Future Without Children, click here. I love Jody’s concept of the shadow life. I can certainly relate to that, and to the fact that the grief then chimes in. It gets worse before it gets better. But it does get better, as Jody, you, and so many of us show.